Buying a car can be a costly proposition, so you are well advised to do research and have a plan before you go for your test drives. Here are some suggestions on how you can save money. Like with all major purchases, you absolutely need to have a budget in mind to set your spending limits. Buying a car can be an emotional experience (hello, new car smell! ), so having a budget in place can help curb your emotional responses. Be aware of all the smoke and mirrors surrounding the auto industry and financing. Car dealers tend to focus on “affordable payments” as opposed to the amount that you actually borrowing. When you extend a car loan over a long period, yes- your payments may be affordable month to month. However, consider how much extra interest you are paying out during that time period. It’s not so affordable now, is it? Also, don’t forget that a car is a depreciating asset. If you finance too much and extend the loan for too long, you quickly owe more than you own. You can automatically save a great deal of money by buying used. 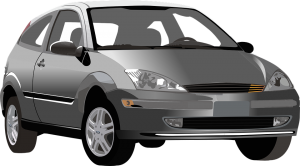 You can still get a lot of the features and benefits that you would with a new car by buying a model that is a couple of years old. The bonus? You basically get a new car without the new car price tag. Remember, you are the consumer and there is a great deal of choice (and competition) for your purchase. Shop around and negotiate with dealers to get the best deal. Consider other things that price to determine the best “deal” too: service packages, warranties and other perks can save you money down the road.